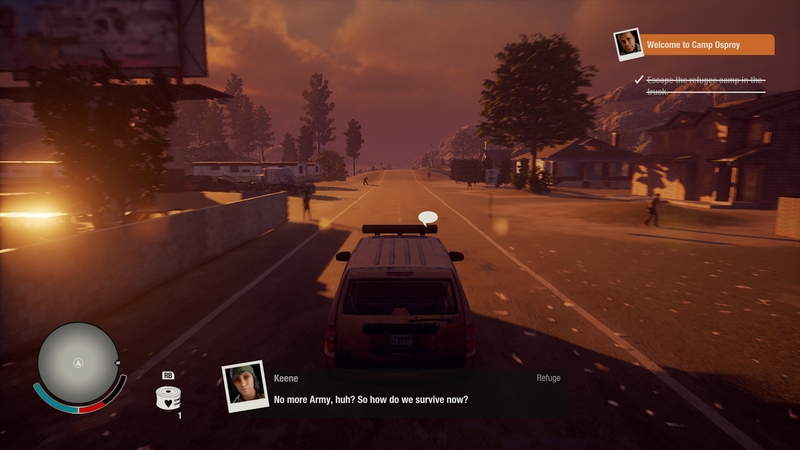 Exclusive to Xbox One and PC, State of Decay 2 blends four-player online co-op with a well-worn zombie apocalypse setting - and the concept is sound. 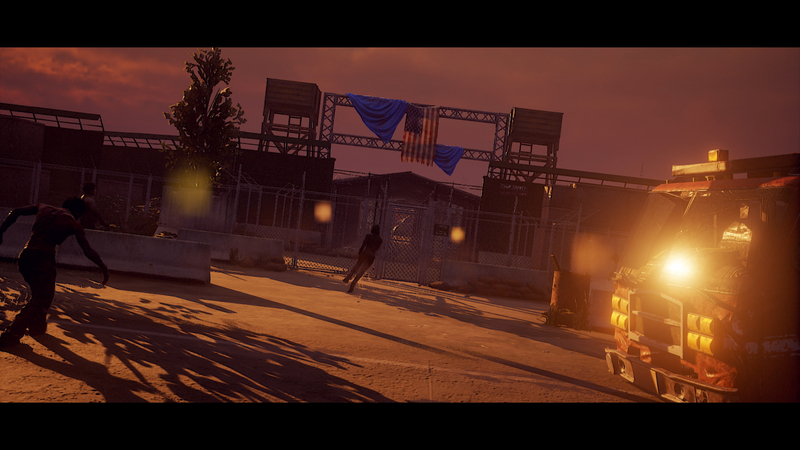 Survival is the name of the game: you explore a seamless, open area for weapons and items, claim safehouses, and scout new spots for your community of survivors to migrate to. It expands on the original's ideas, but the technology behind it gets a full reset this time. Built on Unreal Engine 4, State of Decay 2 abandons the CryEngine 3.1 of the original game - perhaps partially explaining the five-year development time. It's a fundamental overhaul in rendering technology, but with that transition comes a fair share of teething troubles, requiring some pretty fundamental work in improving what is clearly a lacklustre showing. But let's look at the positives first. 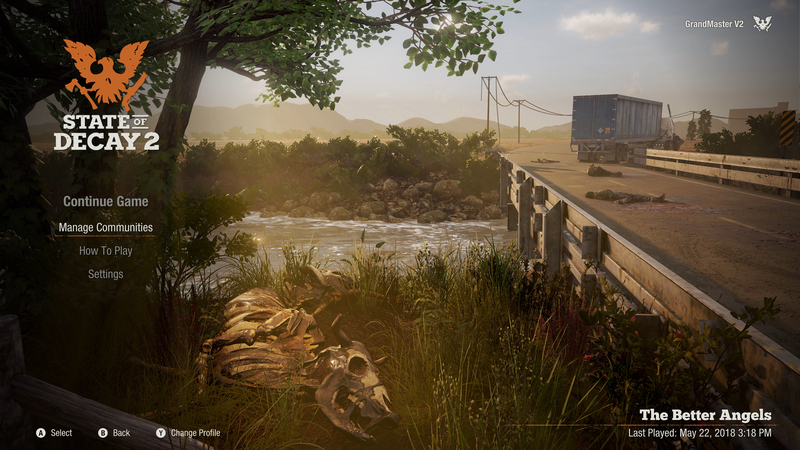 On Xbox One X, State of Decay 2 is noteworthy for a fully open-ended design with a dynamic time of day, a pleasing use of object physics simulation, and some beautiful lighting effects. Pop-in is surprisingly well hidden on the enhanced console too - and once a lengthy initial load is complete, everything that follows is seamless. It's not a showcase for the system per se - a shame given it is a Microsoft exclusive - but there are some eye-catching moments in there. 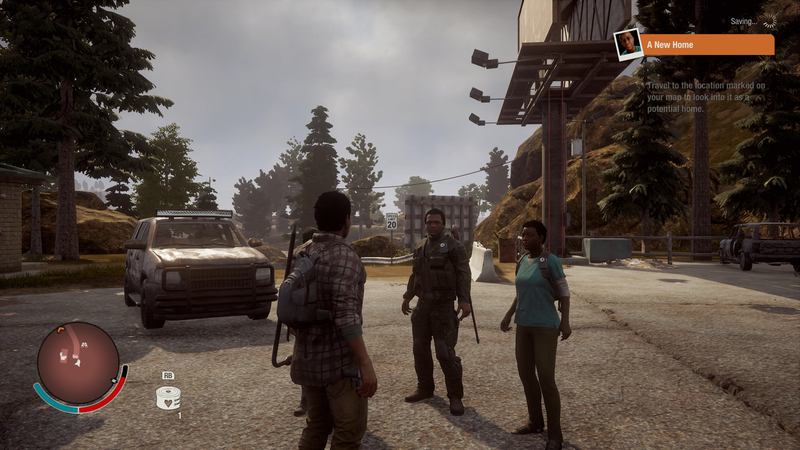 Unfortunately, while the Xbox One X rendition has these visual niceties, our first experience of it was on the base Xbox One console, where to our eyes, State of Decay 2 looks somewhat dated for a current-gen game. There's a lot here that just doesn't hold up on the regular console. 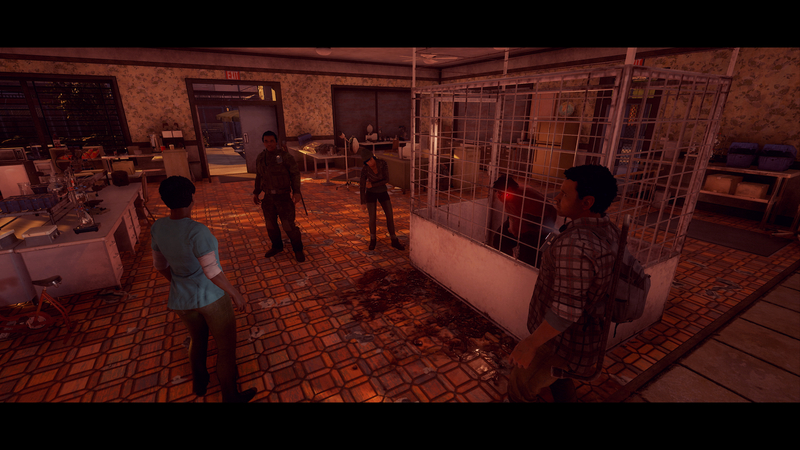 Whether it's the pop-in on shadows and zombies while driving, the soup-like texture quality, the heavy, dithered motion blur, or the low-grade lens flare effect - every facet feels compromised in some way. The last aspect sticks out like a sore thumb; panning the camera around, the lens flare effect's trajectory across the screen updates at slow intervals - out of sync with the game's frame-rate. It's not an issue on Xbox One X where we get a smooth, clean rotation. It's curious that such a seemingly simple effect gets dialled back, and you need a full console upgrade to solve it. In fact, Xbox One X gets one of the most far-reaching upgrades over the base machine we've seen to date. Jumping to X, almost everything is enhanced. In the developer's own words, executive producer Jeff Strain states we get higher resolution textures owing to the X's increase in RAM and CPU power. On top of that, there's mention of denser foliage, higher poly character models, upgraded shadows, and depth of light from farther draw distances. But in motion, Xbox One X looks like the starting point in visual design, from which aggressive chops and changes were made to cram the game onto the weaker machine. A complete video breakdown of State of Decay 2's outlook on Xbox One X and the standard model. Despite some visual high points, the package as a whole needs some rebalancing in terms of visual fidelity vs performance. Textures are a clear case in point of where the two stand in relation to one another. Materials get higher resolution artwork on the enhanced console, from the rusted metal on vehicles to the cracked roadwork. In truth, the result on Xbox One X is what we'd have hoped to see on the regular machine - they're not extravagant, and simply adequate for viewing at a distance. Xbox One S pushes some woefully low-grade textures by comparison, and clearly, the extra 4GB of available RAM opens the gates to a much-needed higher setting. Even more crucially, texture filtering across the game gets a visible uptick, meaning all those surfaces stay sharp even at a distance. Revamped textures aren't always a given in every X enhanced title, so at least the game does benefit in this regard. Draw distances get a matching upgrade too, mostly on grass and shadow detailing past a pre-set cascade. 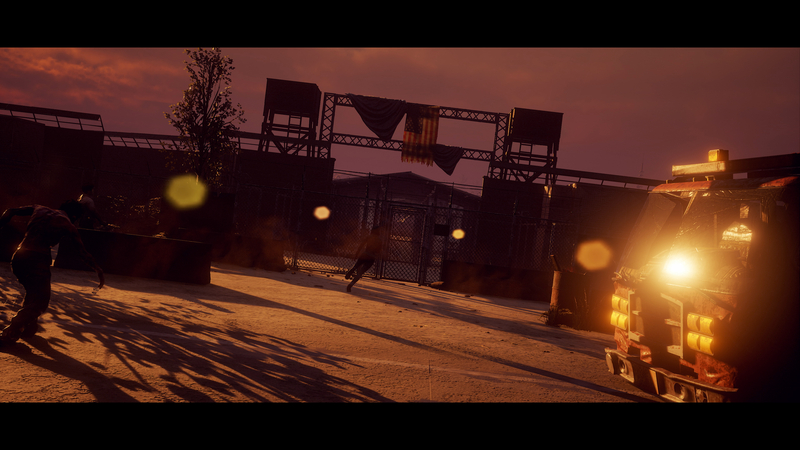 Running at pace through the city outskirts, you get a sense something is missing on a base Xbox One when playing it the first time. Fields appear barren at range, and only by jumping to X do you appreciate how much more fleshed out the terrain should be. More subtle is the change in shadow detail; the draw distance is noticeably pushed out, though there is still a visible fade-in transition on X hardware. Paired with that increase in shadow resolution up-close, it's a satisfying leap between the two. Texture, shadow and draw distance tweaks make a big aggregate difference for X, especially given the resolutions on each console. Xbox One S runs at a dynamic 1600x900 resolution - that's 900p, albeit with the lowest figure coming in at 1536x864. All of its visual shortcomings stick out even at that value, and so it was imperative Xbox One X upped its game in overall settings to match its higher resolution. Fortunately, the set-up on the enhanced console has strong signs of a dynamic 2160p; the approach here is a little different to the base machine, and tends to only shift on the horizontal axis - the lowest value being 3072x2160, or 80 per cent of native 4K. Xbox One X offers a push from the dynamic 900p on the base Xbox One to a full 4K - with drops to 3072x2160 being the lowest we've found. Texture resolution and shadow quality each get an increase on X as well - to go with that boosted pixel count. Xbox One X features a more detailed water shader on the river here, reflecting the rocks behind more fully. Texture filtering gets an uptick across the ground - and ambient occlusion takes on a thicker appearance on X too. Overall geometric complexity on vehicles is similar - but clearly surfaces are richer for the texture upgrade. Also note the pushed-out foliage draw distance on X to the left. One sour note is that even with all those extra pixels, the fact is that the final image is still smudged over with one of the most aggressive forms of motion blur we've seen. Nudge the right thumb-stick in any direction and all its extra fine detail vanishes. The plus side, at least, is that Xbox One X decreases the dithering artefacts seen on the base Xbox One's motion blur. Another plus point in the post-processing category is ambient occlusion, which also receives a thicker implementation on X - and in general, global shadows deliver a significant leap up in quality. On the face of it then, we're looking at a substantial upgrade for X owners in every regard, but there are no free lunches when it comes to real-time rendering. Both base Xbox One and X releases run with an unlocked frame-rate, with no 30fps cap. It doesn't really make sense in the context of a game that never reaches anything like a locked 60fps, giving an uneven refresh on both consoles. Capping the game's frame-rate would have been a more sensible option - especially in the case of Xbox One X, which hovers around 30fps anyway. 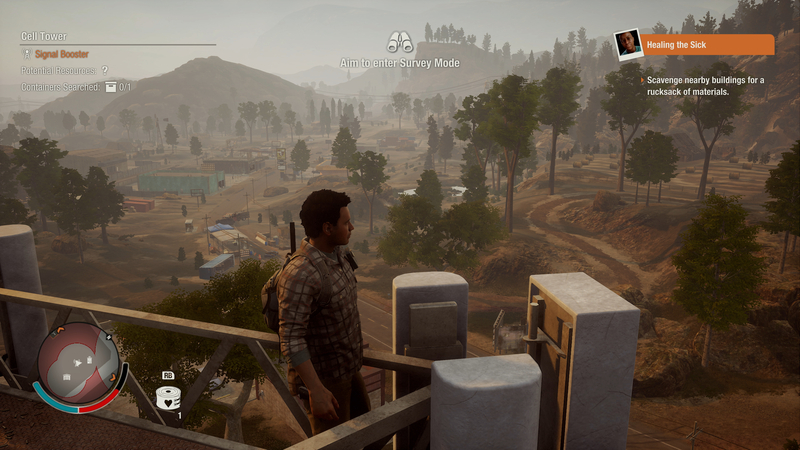 As things stand, Xbox One X's various upgrades combined with its prodigious increase in pixel count ensure that State of Decay 2 runs with a lower performance level than it does on the regular Xbox One S. The most powerful console on the market is hit hard, sometimes even slipping from 30fps into the high 20s. By comparison, the S runs the gamut between 30fps to 45fps in typical play, but the heaviest scenes can drop to the low 20s. The bottom line? There are no graphics or performance modes in this game on either machine, and so you're stuck with what Undead Labs is serving - and for X owners, that's categorically much lower frame-rate overall. As we understand it, this goes against Microsoft's own guidelines to developers for developing on X hardware - software running on the enhanced machine should run at the same frame-rate, or higher. 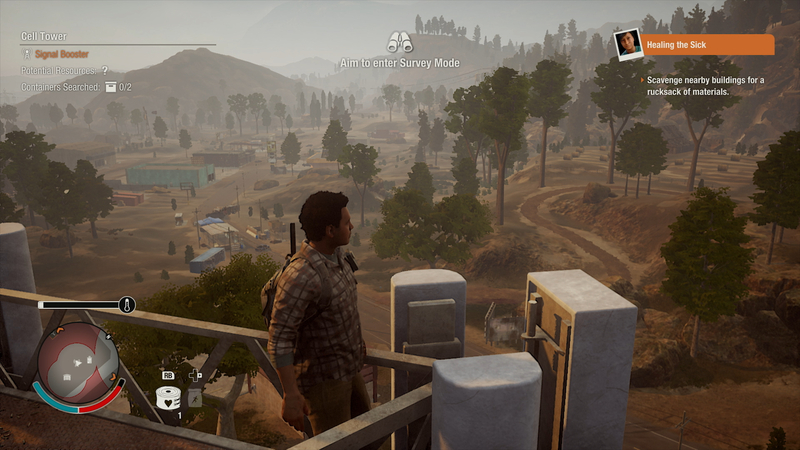 State of Decay 2 is prettier on Xbox One X, but the trade-off comes in a big drop to performance compared to the S. A level playing field would have been preferable. Right now, the performance profile of both machines isn't exactly ideal. Looking at a standard Xbox One in isolation, there's no absolute get-out from its most severe performance drops. Driving around brings out the worst of it, slipping from 30fps to the low 20fps in the central town areas. Meanwhile, at its best, running at 45fps reduces latency but still looks rather jerky - the frame-rate not dividing evenly into the display's refresh rate. On top of that, the base Xbox One stutters noticeably too. Expect frame-time hitches in gameplay lasting over 120ms, likely owing to a much lower-clocked Jaguar CPU attempting to quickly stream in new world data. From what we've tested, Xbox One X suffers from the same issue, but the stutter is minimised significantly. While X performance may be more consistent at least, it doesn't make up for the lower average frame-rates across the board. From our perspective, the best starting point would be to introduce a 30fps cap, leaving each frame with a more realistic 33.3ms render time. It'd do wonders for a bulk of the experience on the base machine too, and to a large extent the X model too - smoothing it out with an even cadence in frame delivery. Xbox One X's visual extras give the game an impressive makeover, but as an online game it's unfair on those owners to receive such a palpable performance penalty, and in the here and now, the developer doesn't seem to have given much attention to ensuring a level playing field between users of both machines. 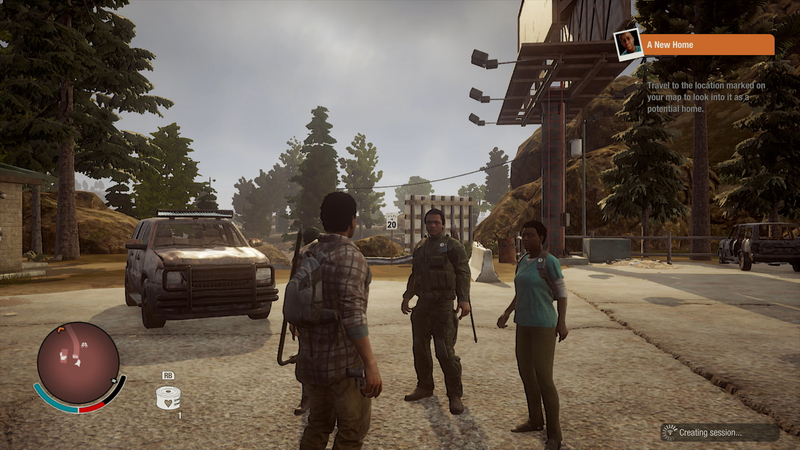 State of Decay 2's condition at launch is clearly in need of attention then, and that's not even factoring in the bugs we've encountered - a focus of the unflattering Eurogamer review. So far, we've caught big problems in character pathfinding during combat, textures which don't load in properly, and even corrupt loading screens - leaving a garbled green smear to stare at for 60 seconds. With an extra pass, this could be entertaining co-op experience - and cross-playable with the PC release, no less. But for now, technical issues get in the way, whether that's on a base Xbox One or on the much more powerful X. State of Decay 2 requires a lot of work - and it's frustrating and baffling to see a platform exclusive launch in this condition. Crackdown 3, Sea of Thieves, Forza 4, and more.